Looking for an adorable card to make with your tweens or upper elementary kids? 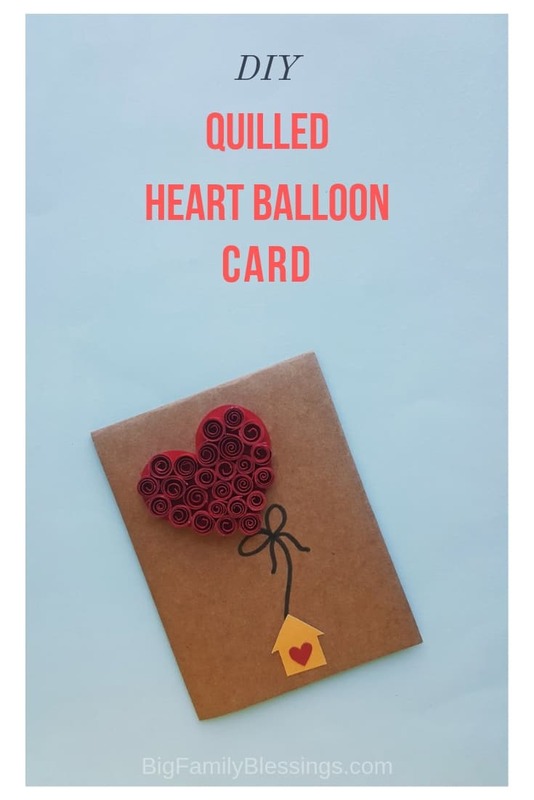 This DIY Quilled Heart Balloon Card is a perfect choice for teaching your children how to paper quill. 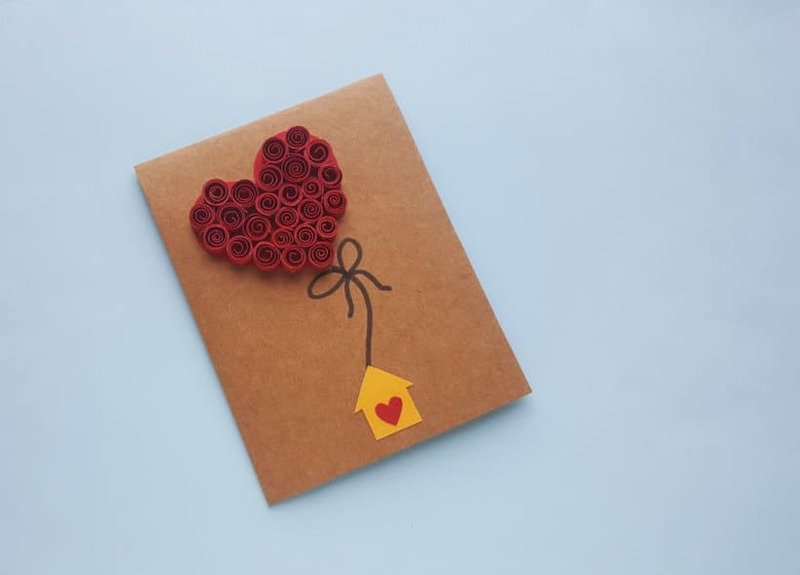 Paper Quilling is a relatively simple way to add visual interest and dimension to your cards and crafts. 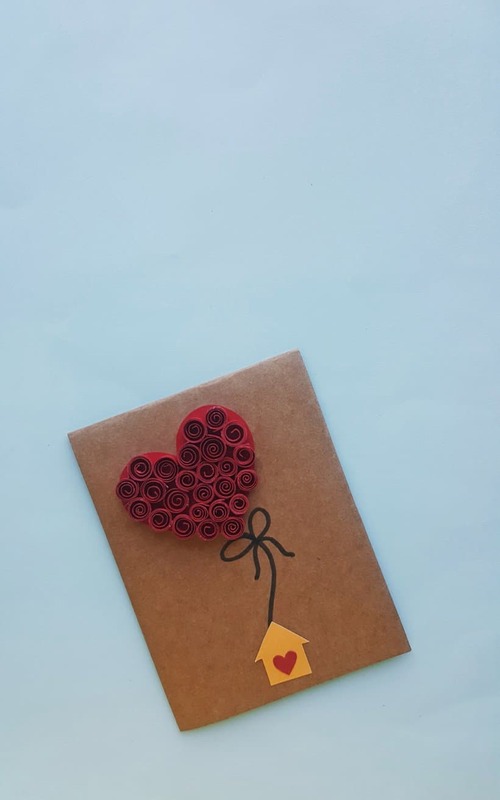 My 9 year old can’t wait to learn how to paper quill her Valentine’s Day cards with this easy quilled card. 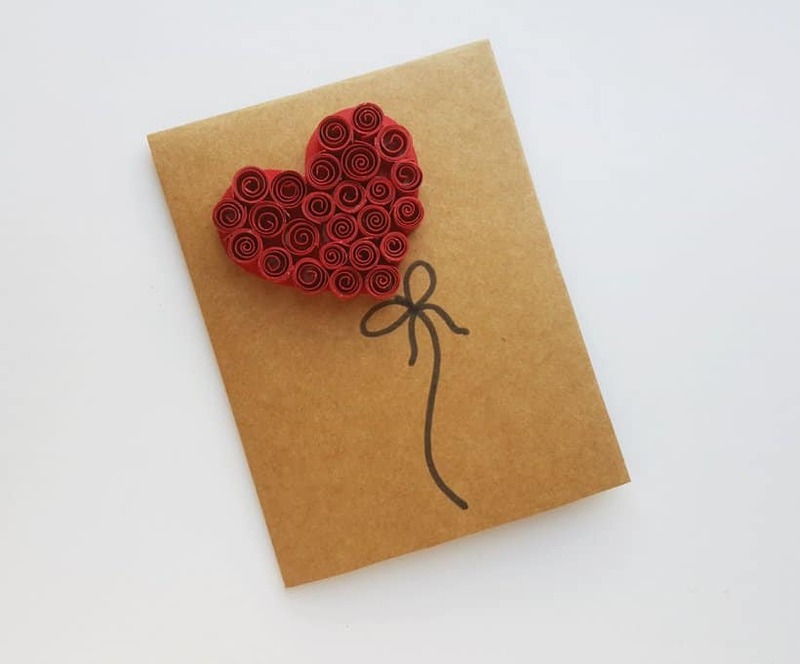 Here’s how to make a Quilled Heart Balloon Card. Prepare 1/2 inch x 4 inch long quilling strips from cardstock paper. 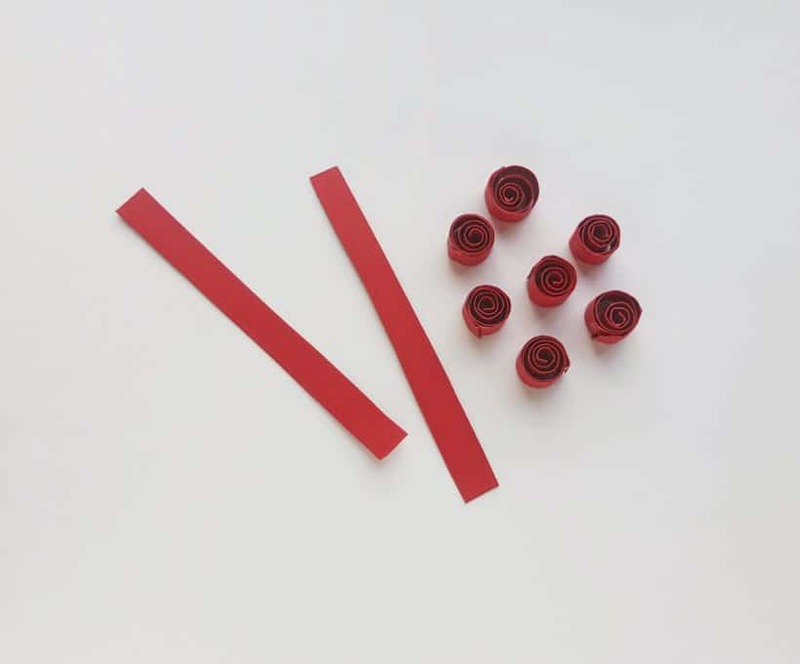 Use the slotted quilling tool to make loose coils with the strips. Make a bunch of loose coils. 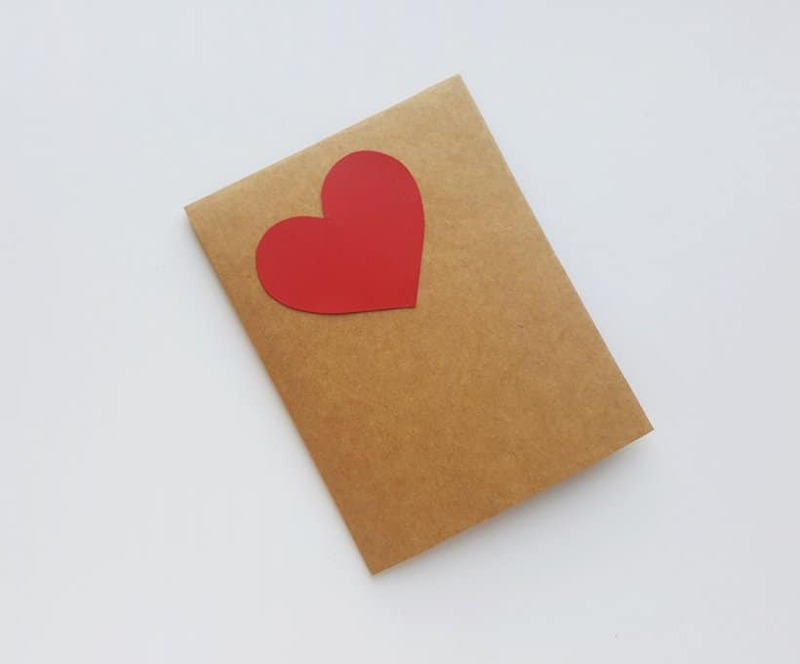 Trace a simple heart shape on the same colored cardstock as the strips from previous step. 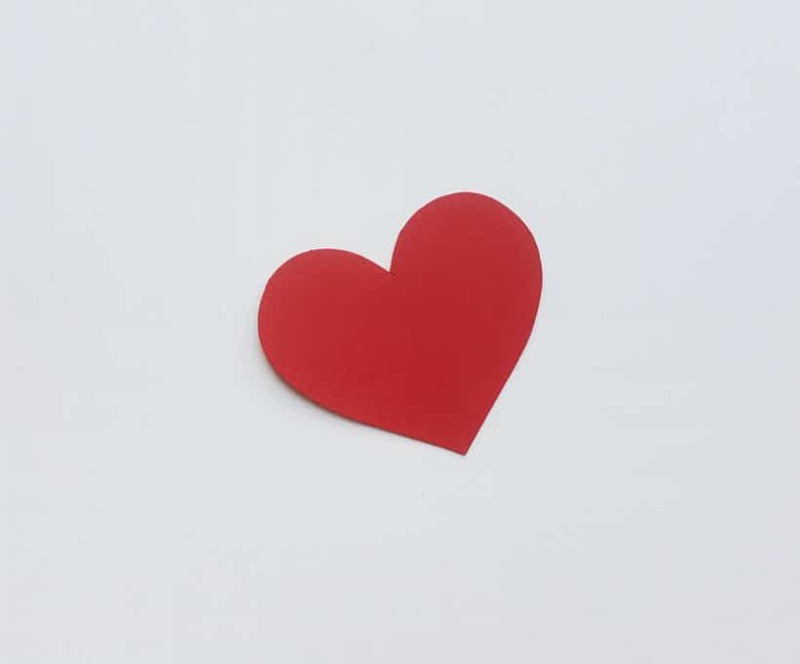 Cut out the traced heart shape using scissors. 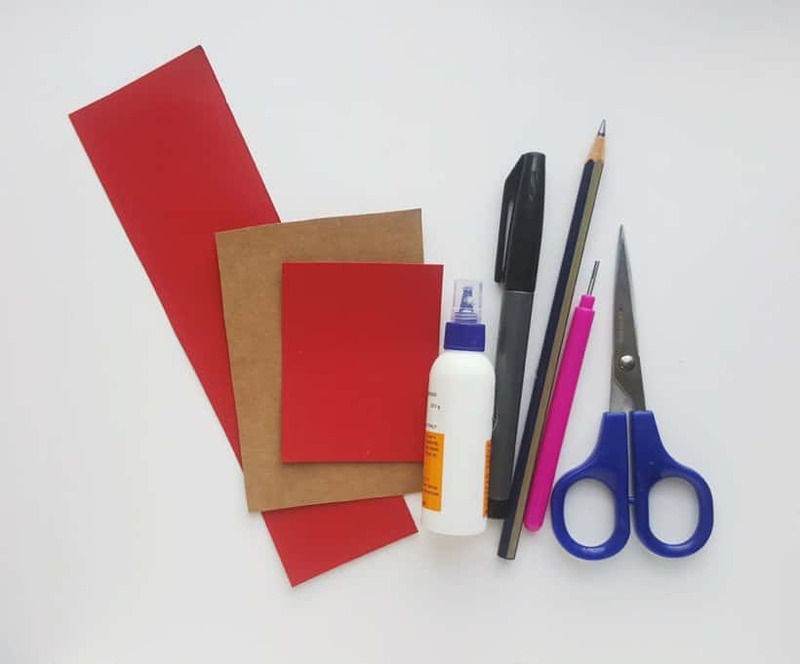 Prepare a card from a different colored cardstock paper. 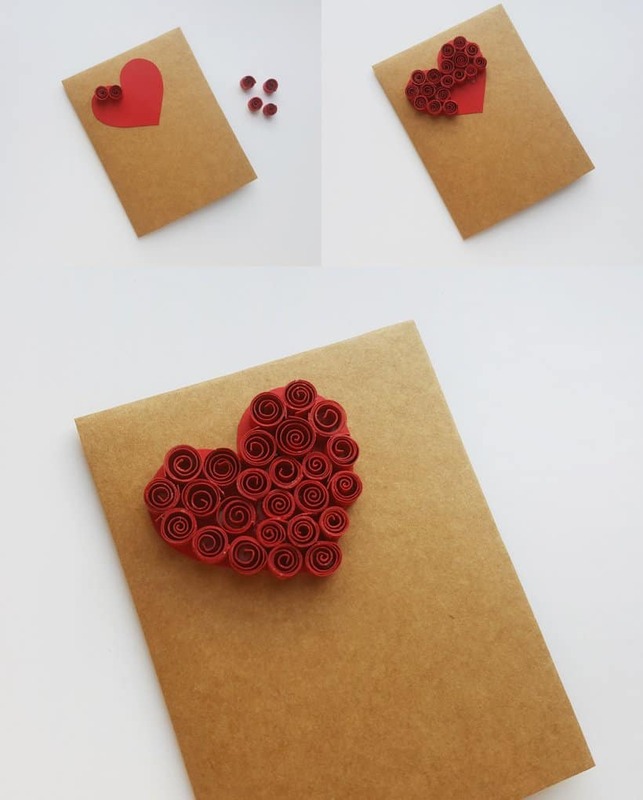 After folding the paper for the card, glue the heart cut out along the top of the front side of the prepared card. Grab the loose coils and craft glue. Next you’ll start to glue the loose coils on the heart shape. Starting from either side, begin filling the heart with the loose coils. Keep gluing the loose coils until the whole heart shape is filed. Done filling the heart with loose coils? Let’s go to the next step. Use black marker pen or sharpie to draw a simple string attached with the quilled heart pattern. 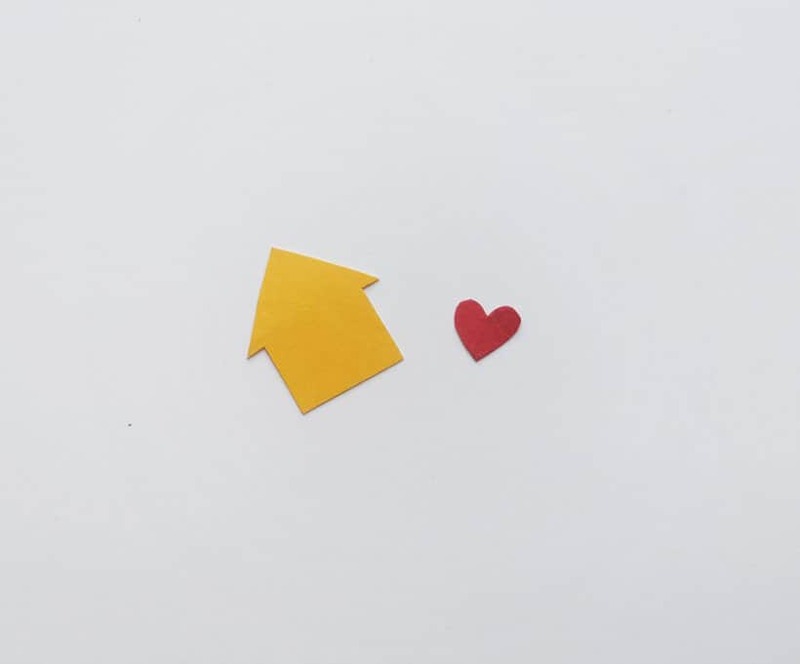 Cut out a simple house pattern from a cardstock and a small heart shape from another different colored cardstock. The house should be smaller than the quilled heart pattern and the heart cut out from this step should be smaller than the house. Glue the small heart cut out on the center of the house cut out and attach the house on the card, on the bottom end of the traced string. 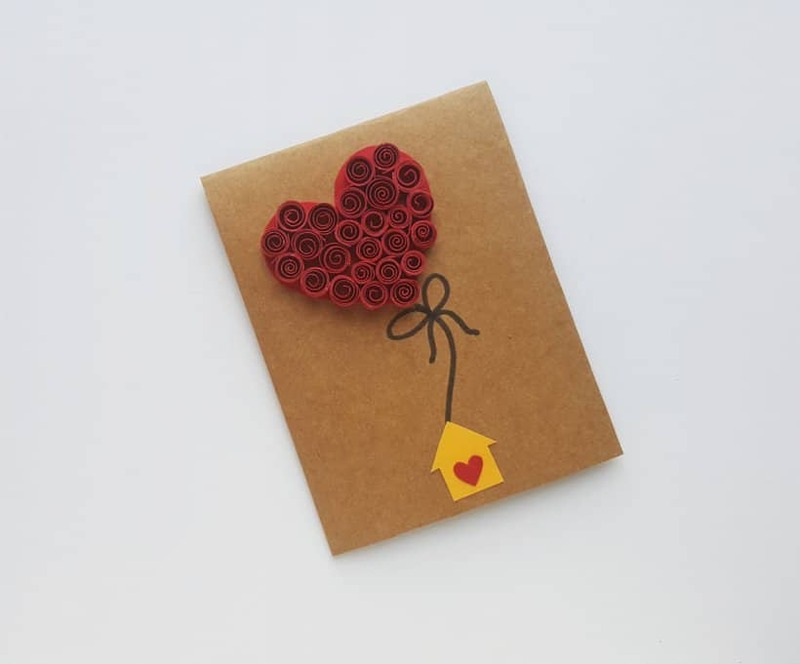 It will make an adorable Valentine’s Day card, but wouldn’t it also be cute as a card for a new homeowner too?